Where to start !? My October 2017 orangutan photography tour to Tanjung Puting National park, Borneo was so special. First I’d like to say huge thanks to Nikki, Helen, Kevin, Katy, James, Ian and Hannah for being so wonderful. 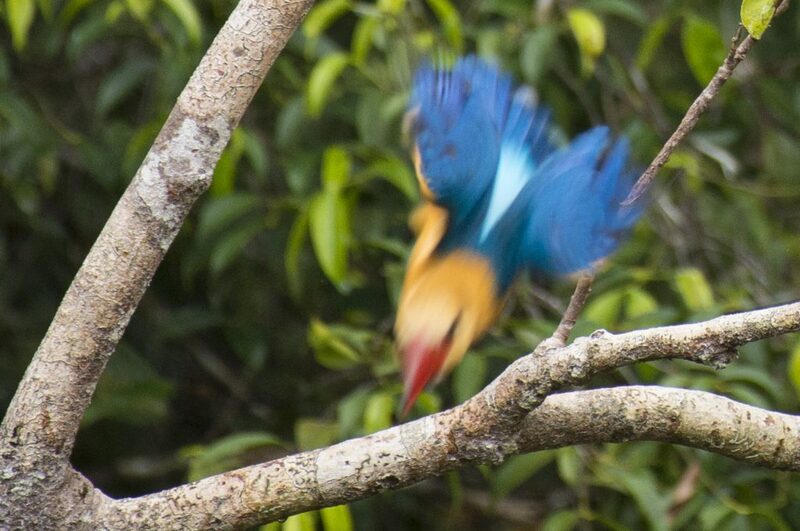 Watching wildlife with like minded people is one of the great pleasures of life and it’s an honour to run these trips. 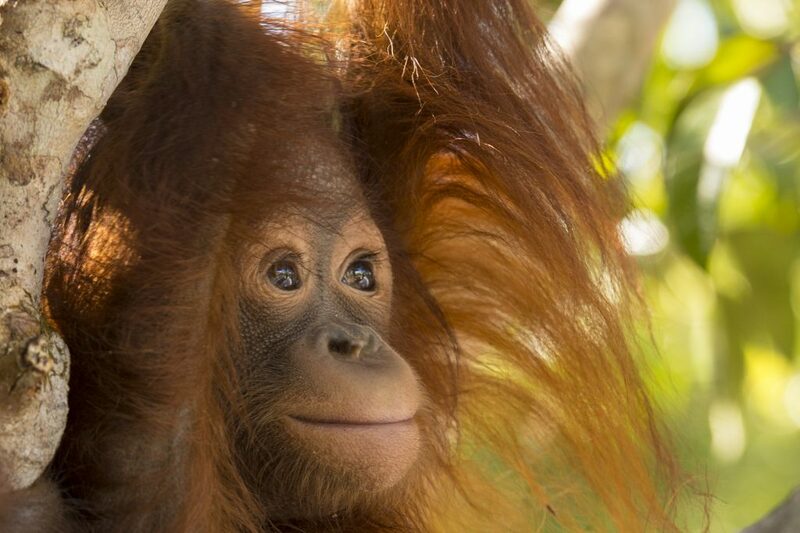 Together we raised another chunk of money for The Orangutan Foundation UK whose work is protecting these forests. On our final day we were invited to witness some of their projects in an area normally off limits to visitors. Travelling by speed boat along a network of gorgeous rivers is a joy in itself (at the bottom of this page there’s a short time-lapse video giving a glimpse of these river journeys). And then arriving in Lamandau which is an orangutan release site where we watched one orangutan, a sun bear, two pythons and two Changeable Hawk Eagles be released back where they belong. 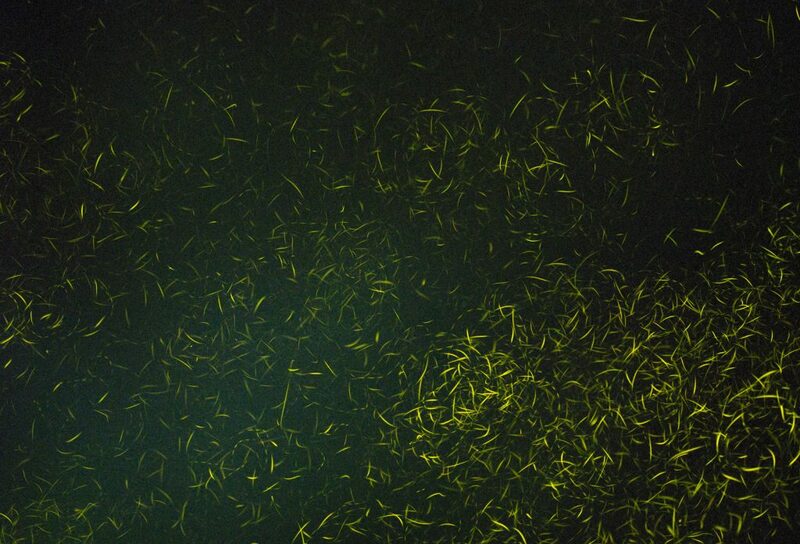 I’ve put a few photos from our trip below. 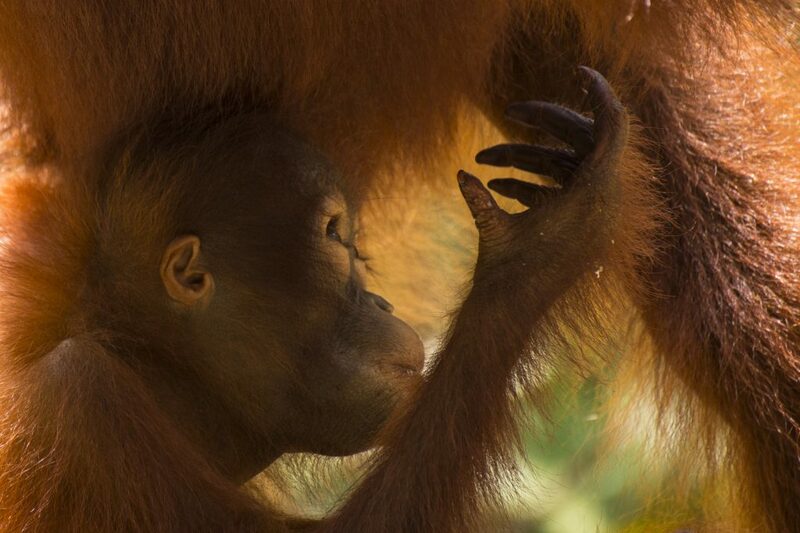 If you’d like information on joining me on a future orangutan tour then click here for further info. 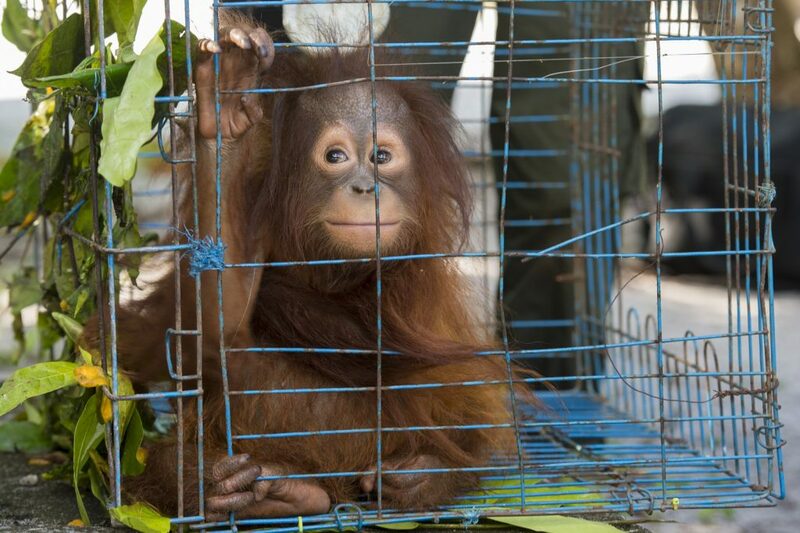 Two year old orphaned orangutan – kept as a pet but rescued by the Orangutan Foundation and now being looked after in Lamandau wildlife reserve. 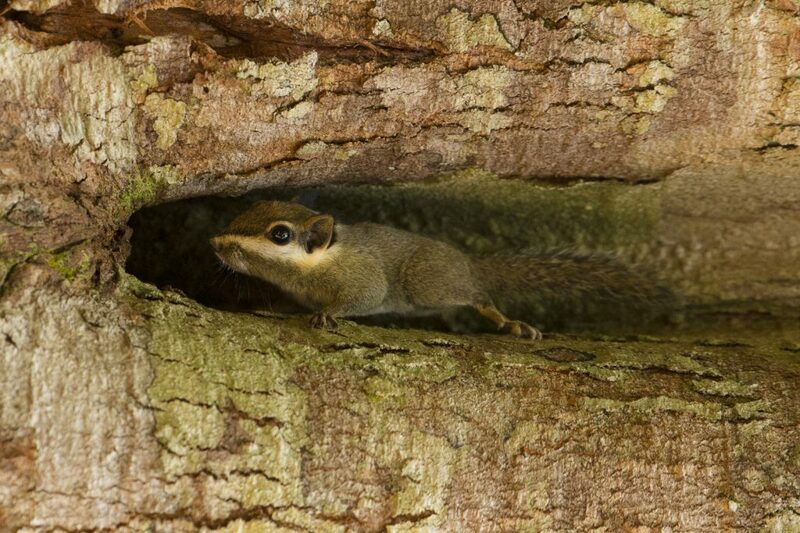 A taste of freedom as she climbs a tree for the first time where she is now on soft release. 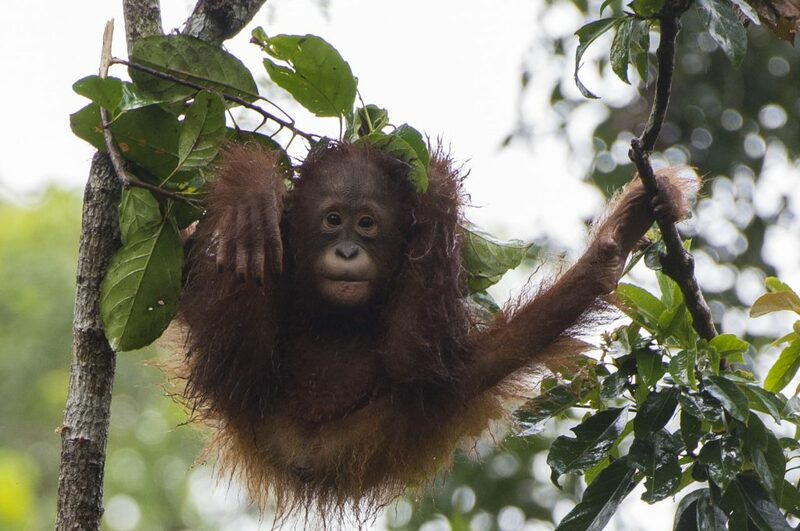 This means she can spend some of the day in the trees learning more about her new home before being properly released into the forest when she’s about seven years old. 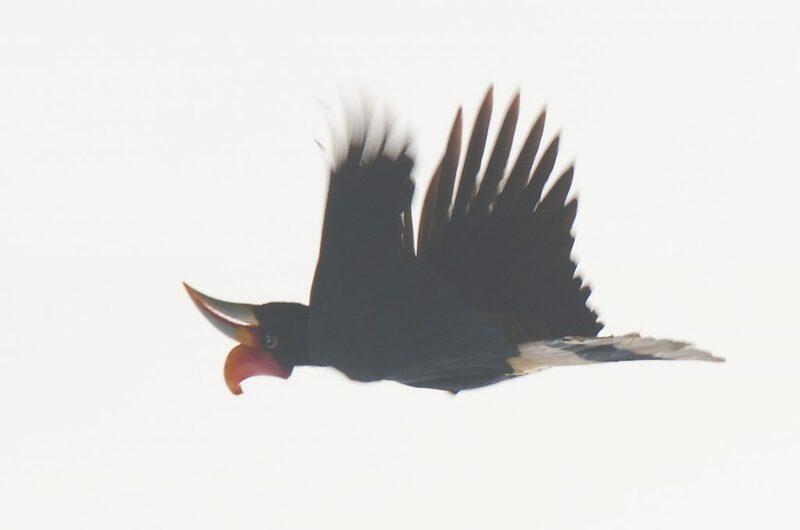 A Rhinoceros Hornbill which flew across the river behind our boat in Tanjung Puting National Park. Hannah and Kevin at Camp Leakey in Tanjung Puting National Park. 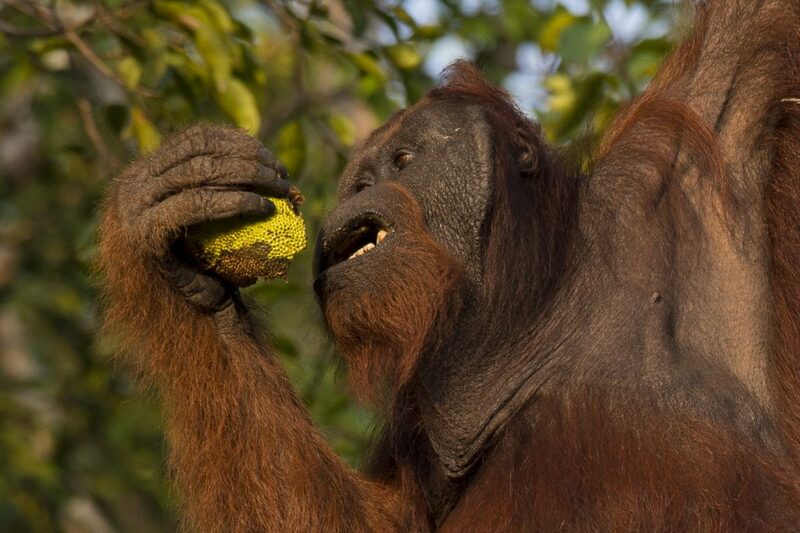 Close up sighting of a wild male orangutan by the side of the river eating Rasau fruit. 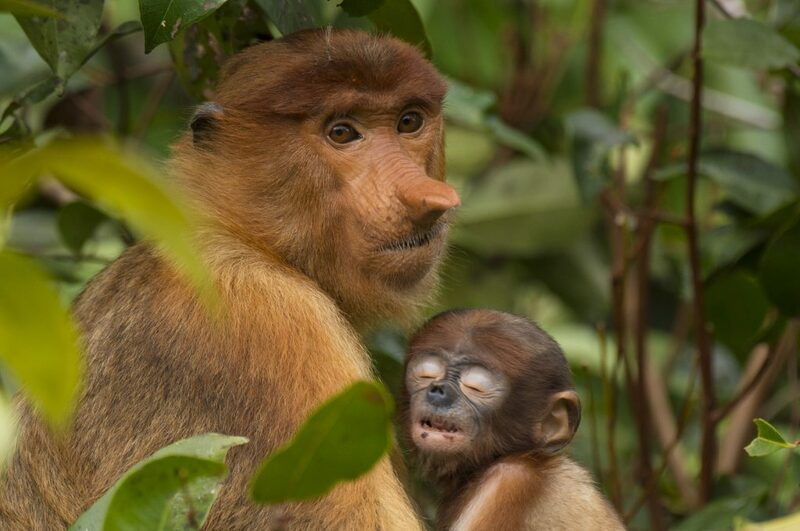 Young baby Proboscis monkey – more information about Proboscis monkeys is here. 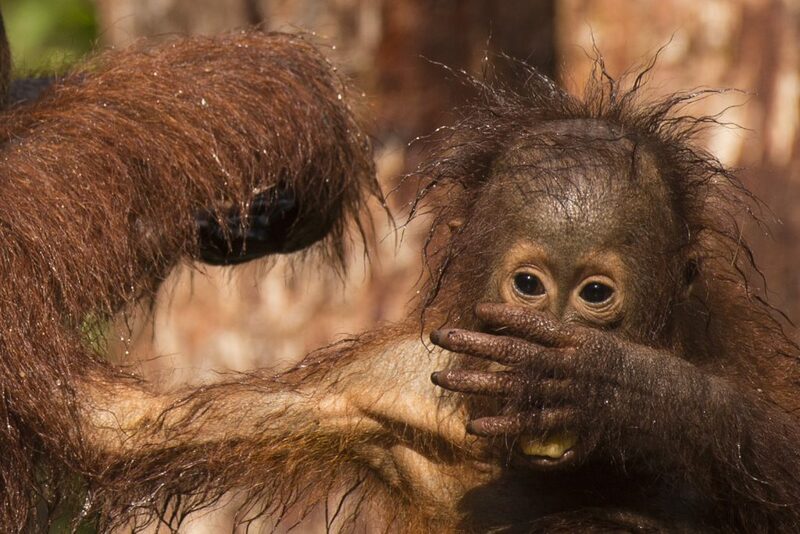 Bad hair day – young orangutans at Camp Leakey after a downpour. 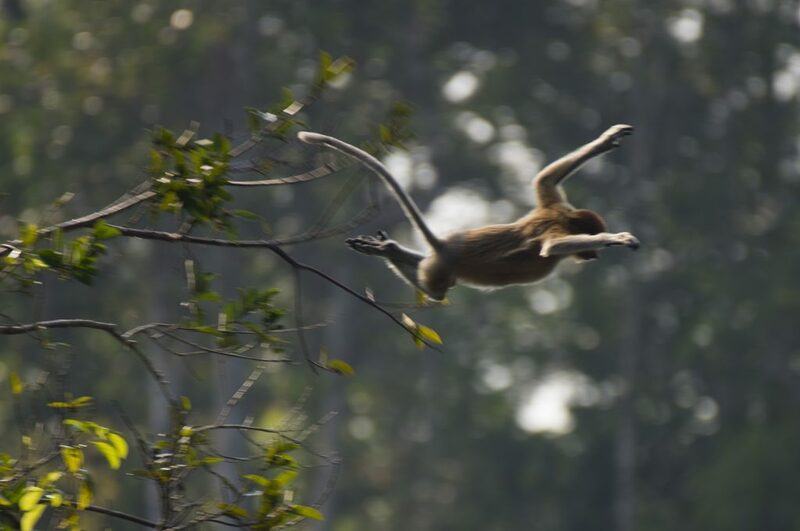 Proboscis monkey leaping into the river. 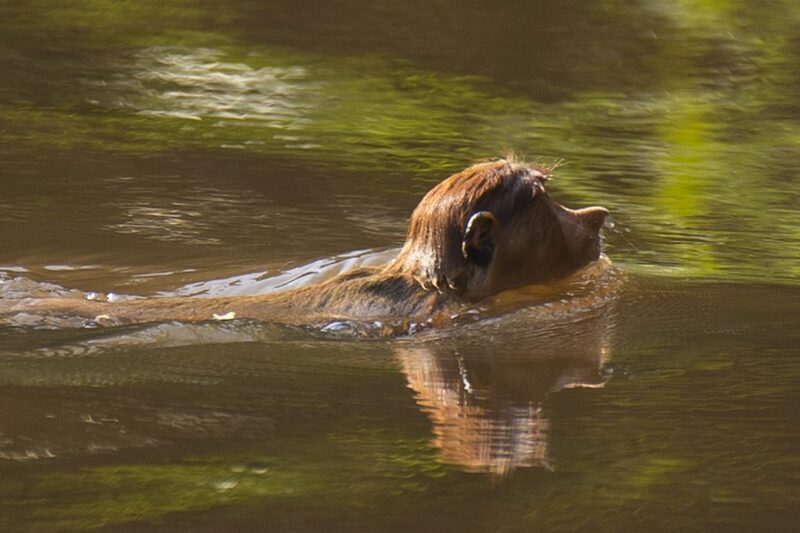 And then swimming across the river Sekonyer. 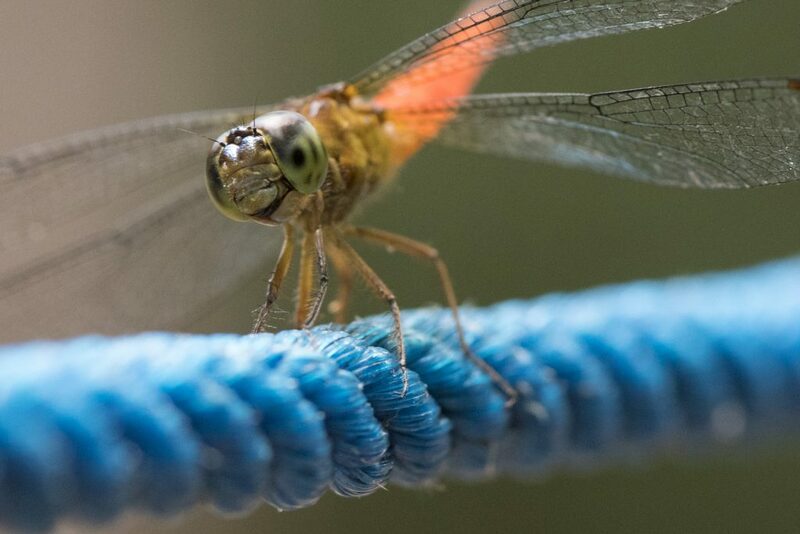 I normally shy away from photographing insects on man made objects but I quite liked the contrast of the blue rope with the orange of this dragonfly. 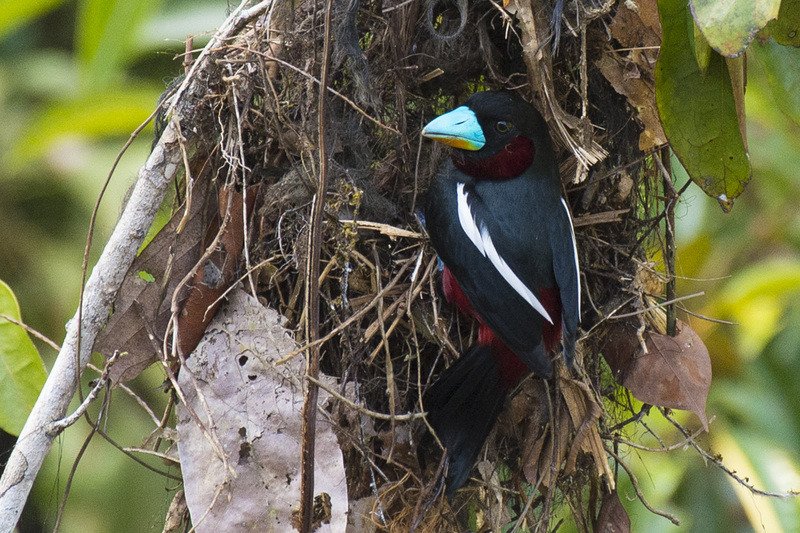 A black and red Broadbill making it’s nest over hanging the river. 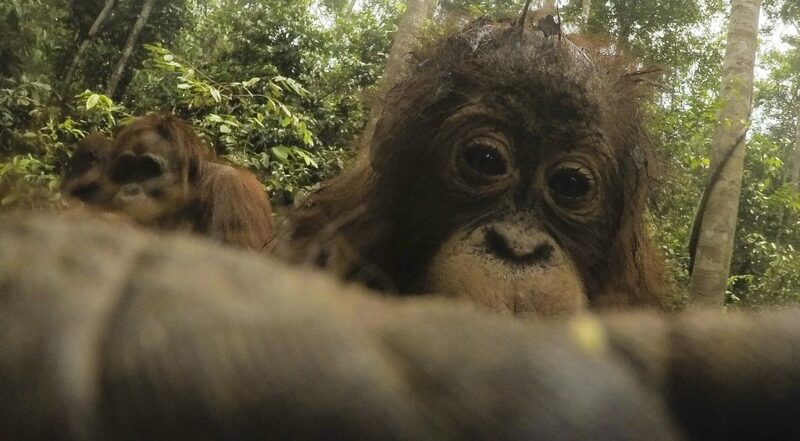 Orangutan selfie. 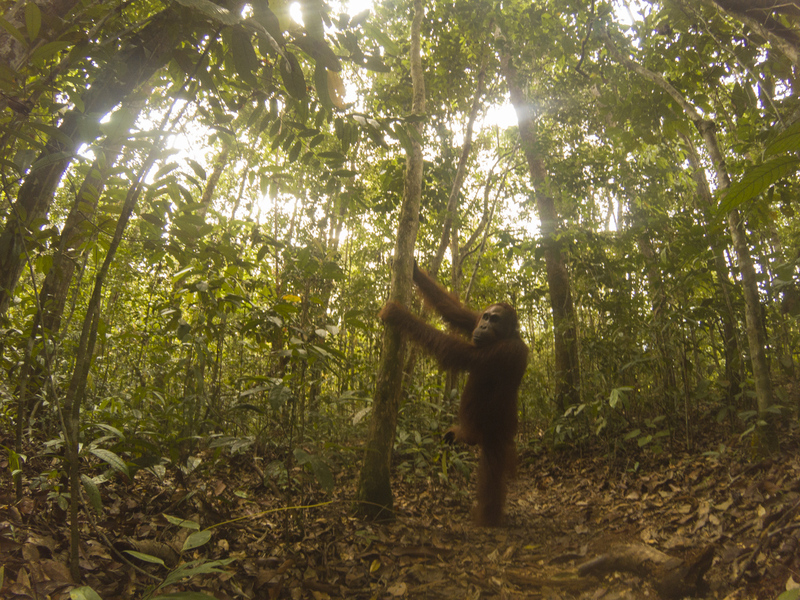 A young orangutan stole my Gopro and took a sequence of incredible photos while it had it for about ten minutes. There’s more info and photos of this here. 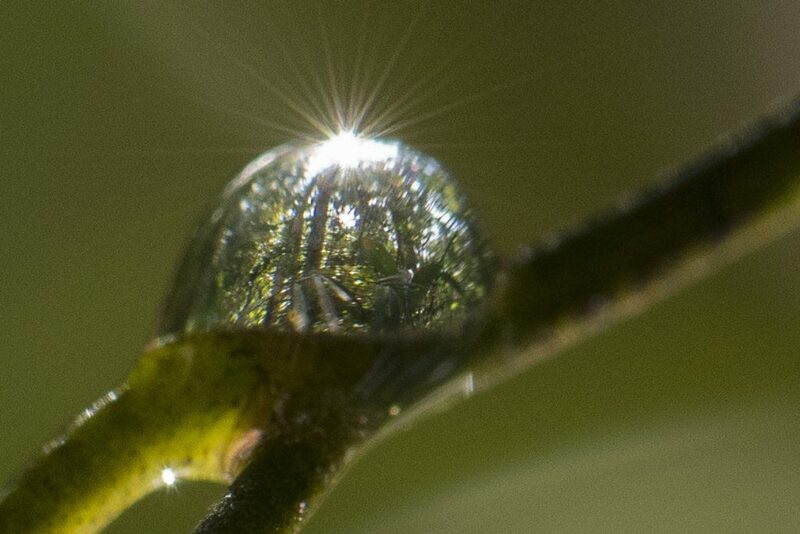 Below is a short clip of some of our river journeys condensed into a 30 second clip. I’ve just received a email from Kevin who came on this trip which I’ve copied and pasted below. Thanks so much for your kind words Kevin … that bribe certainly worked ! 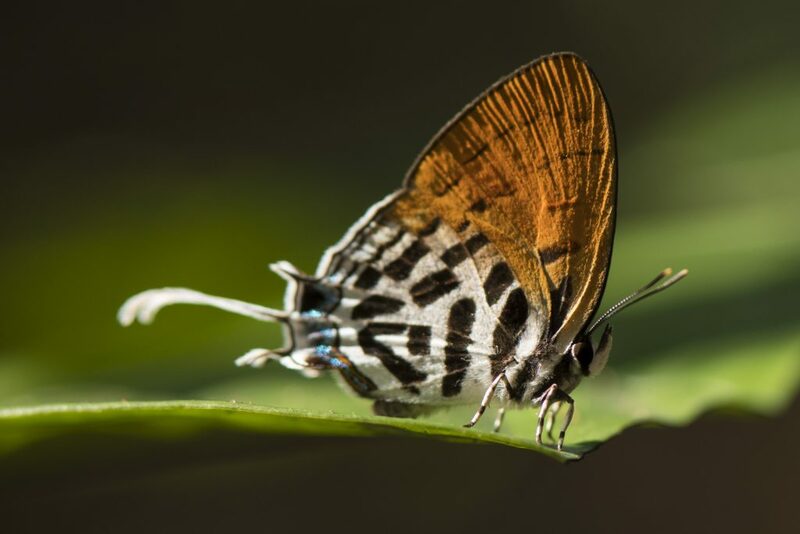 “As an amateur photographer with a travel bug, it seemed like a great opportunity to combine a new destination with my new hobby and to join Ian on this trip. I am so pleased that I did. 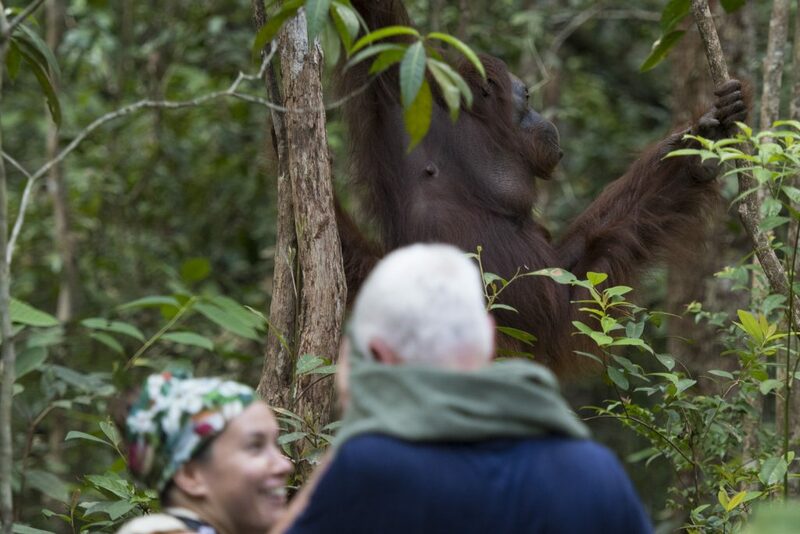 Not only was I able to practice wildlife photography under Ian’s expert guidance but I also gained so much insight into the plight of the Orangutans and other animals that share our planet with us. Ian is a mine of information and his enthusiasm for wildlife conservation is such an inspiration. Before the trip, I really didn’t know fully what to expect and who else would be sharing my experiences during the week. As it turned out, there were seven of us, plus Ian – a great mix of ages and photographic experience, with a variety of cameras and equipment. 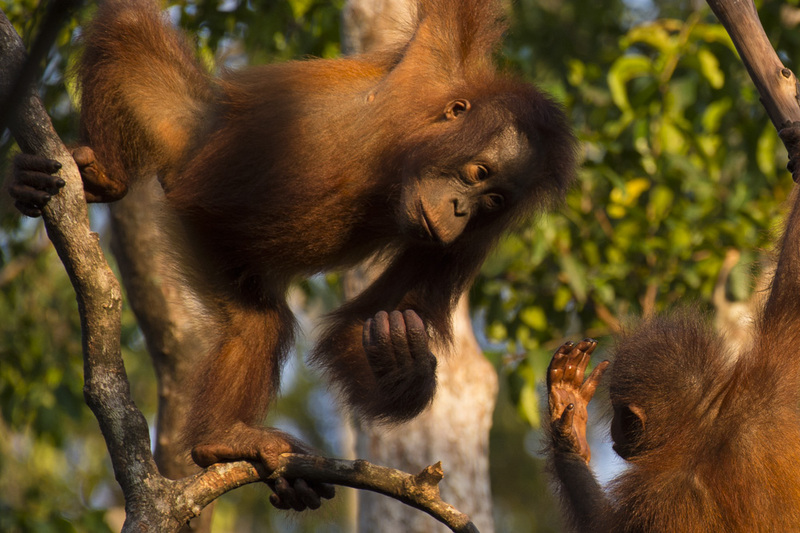 We all got some great shots of many species during the week and it was a sheer delight to see the Orangutans in their natural habitat. And below is a short clip of the release back into the wild of two Changeable Hawk Eagles which I filmed on this trip.